It is always exciting when spring begins to wake up the world to green grass, leafy trees and pretty flowers! 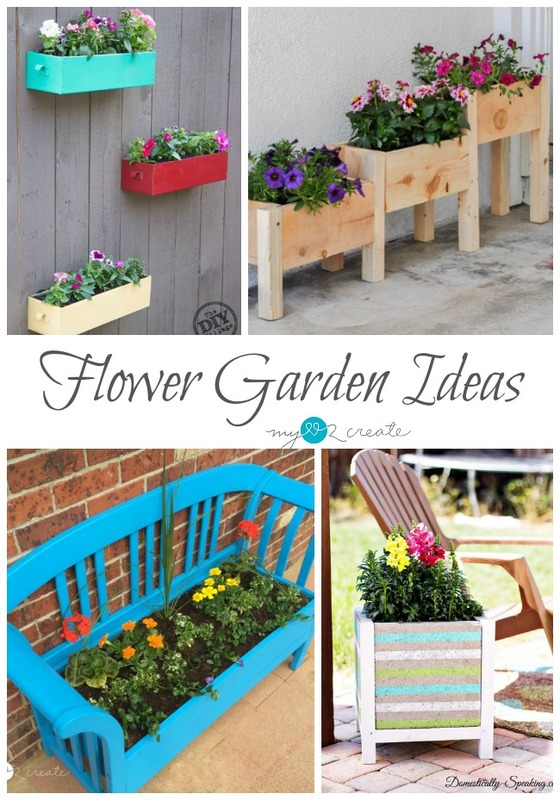 So since it is on it's way I am happy to share some Flower Garden Ideas with you today! 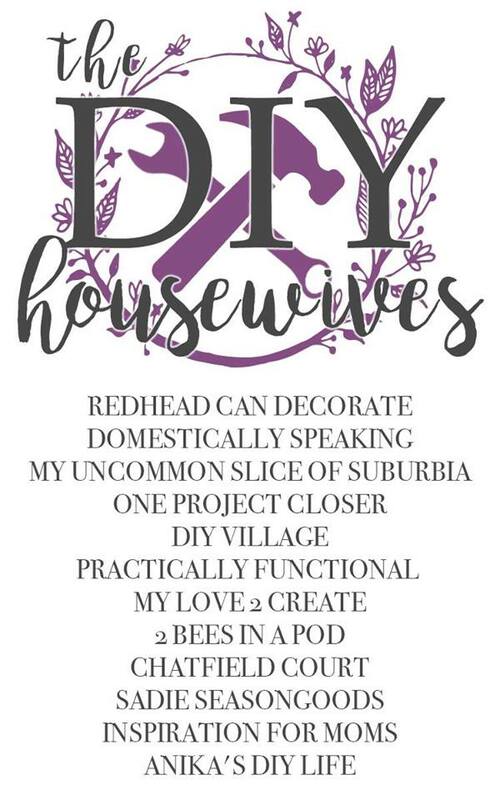 The DIY Housewives and I have some fabulous ideas to brighten up your home and make it a happy place! Yay for colorful flowers! 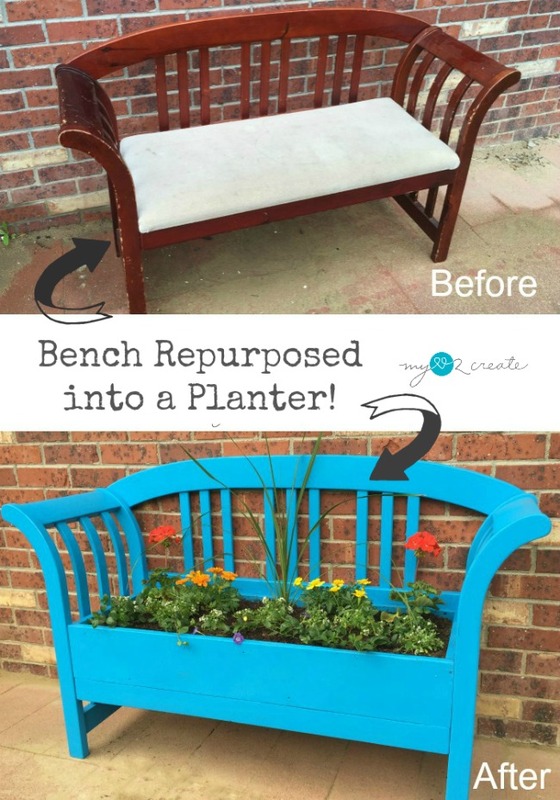 Since I am still in love with my Bench Repurposed into a Planter I thought it would be a great project to share. You will be surprised how easy it is to convert a bench into a beautiful planter for your home or garden! 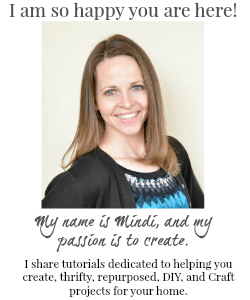 Check out my full picture tutorial so you can learn to make your own. 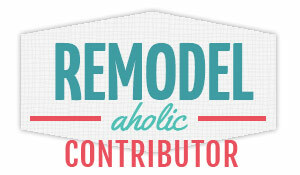 Now if you have been following me for a while then you know the DIY Housewives always have some awesome ideas! So get ready to make your garden beautiful and check out all the links below! Enjoy!